Playing what is probably the surprise release of 2017, Knack 2, I’m left wondering, "Who is this game for?" 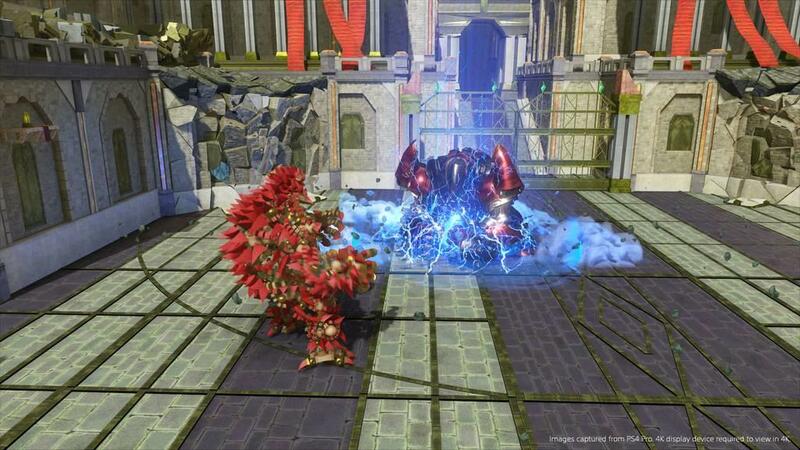 Knack didn’t exactly break any sales records and, for the most part, was a middling release for the PS4 launch window. So the announcement of a sequel at Playstation Experience surprised pretty much everyone. I guess when you start with such a bland base of a game, the only direction is up. Although in the case of Knack 2, it’s more of a lateral move. Knack 2 comes off as a budget title and the price point, for the most part, reflects that. This is a filler title that pads out a summer that has had few standout titles for the PS4, and while Sony Computer Entertainment Japan has improved some of the core aspects to make the game more playable, I’m left feeling like this is the game they should have released when the PS4 launched. 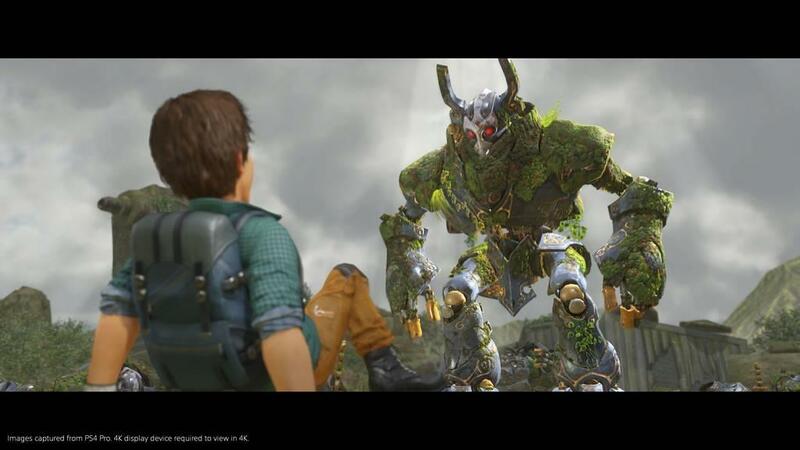 Knack’s story follows the titular character and Lucas after their victory over the goblin armies of the first game. 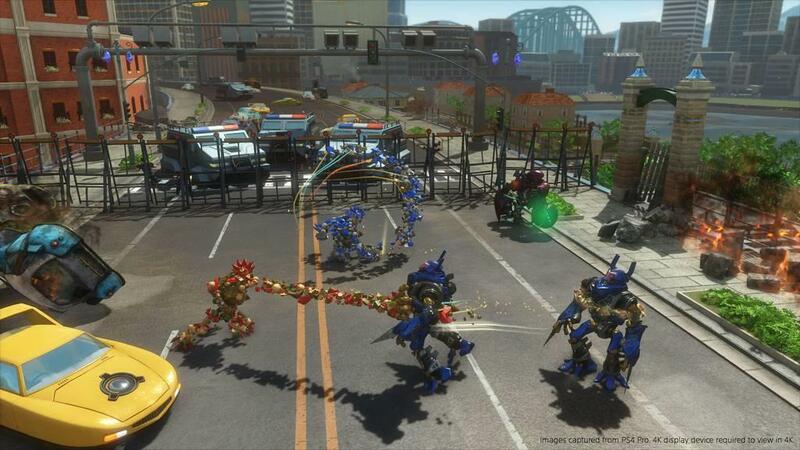 A new mechanical menace has appeared and is wreaking havoc on the humans, putting Knack on the frontlines of battle. Who is this menace? 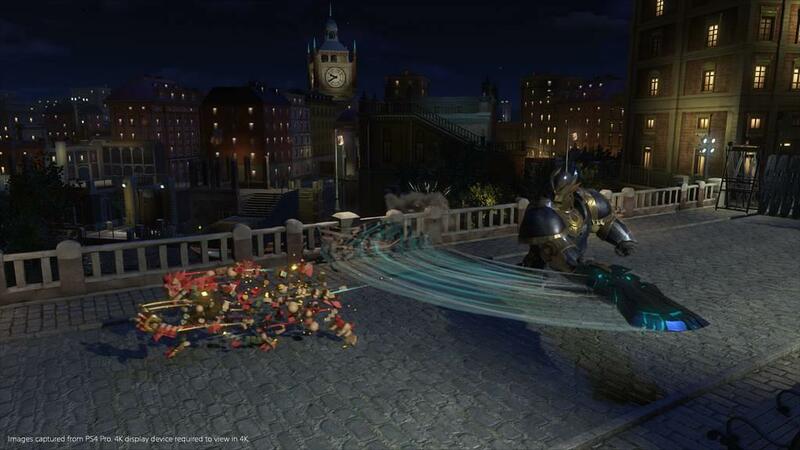 Spoiler alert, it’s more goblins, and Knack has to finish the job he didn’t quite complete after the first game. This story spans across fifteen chapters, which I was growing tired of after six. Lines are trite and cliche. I’ve heard the ‘I thought I finished you off a long time ago’ so many times before, along with the ‘You’re my favorite X,’ ‘I’m your only X,’ back and forth banter that doesn’t make the characters endearing, it makes them boring. Coupled with their really weird pseudo-Pixar style, and you’ve got a game that failed to grab me from both a storytelling and visual standpoint. Knack 2 has times where it is an absolutely beautiful game. However if you’re playing this on a PS4 Pro, you have to sacrifice frame-rate to achieve the visual fidelity that the creators envisioned in 4K. But there is an option that locks the game’s frame-rate at 60 FPS and it made the game vastly more enjoyable. HDR is still included regardless of whatever setting is chosen, and it makes colors pop in some of the wide shots that this game pulls off. Knack himself is still an impressive figure when you get him up to his more massive proportions, and it’s interesting to see how the relic pieces that make up his body continue to stack upon each other, and fall away with the press of a button. And there’s something really satisfying about the sound of those pieces falling to the ground or syncing up that plays out of the Dualshock 4 controller speaker. The rest of the audio just feels like filler, with nothing that really stuck to me from a musical perspective, and while the voice acting is competent, it still sounded like people just listlessly going through tired lines that they know they’ve read somewhere before. That feeling of ennui carried through to the gameplay as well. While I can appreciate the jabs that the story takes at Knack’s lack of abilities, the new stuff they stuck him with didn’t really seem to add a whole lot of depth to combat. 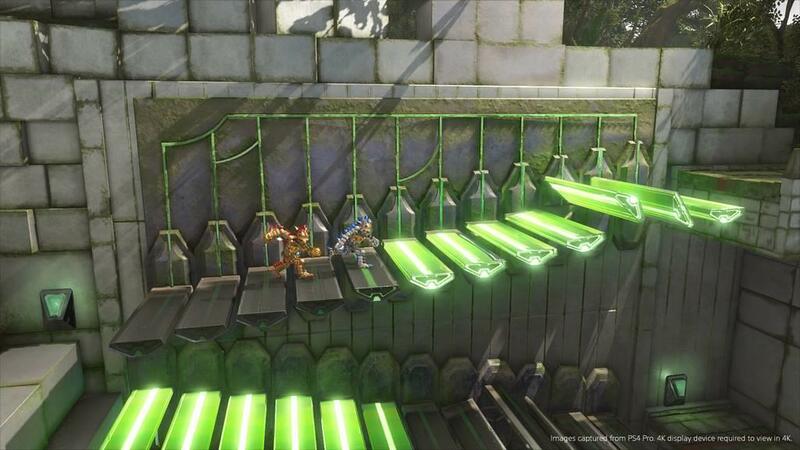 While Knack has a ‘Sphere Grid’ lite leveling system, the skills he gains from leveling up didn’t really convey a sense of progress to me. There’s the standard punch combo, and slightly longer range kick combo, and some special moves. But everything feels so slow in this game, including the dodge mechanic, which has a rather excessive recovery time, rendering it mostly useless, even after upgrades, it didn’t seem to be a very useful tool. And even Knack seemed tired of it all from time to time, I could see it when he’d shake his head after being separated from the relics that helped him grow to gargantuan sizes. The platforming fares a lot better this time around, with a lot less cheap deaths, and some genuinely creative and unique puzzles that at times had me feeling like an idiot because I just couldn’t get my head around a concept tied to Knack’s abilities, once I did though, it stuck with me for the remainder of the game. I’m still trying to wrap my head around who this game was made for, and I’m reminded of another time Sony did this, and it’s tied to one of their more embarrassing moments in gaming, when we were given a sequel to another SCEJ mediocre project, Genji: Days of the Blade (where were you when giant enemy crabs became a thing?). Knack 2 is in this weird space where it’s better than its predecessor, but after the first game was such a slog to get through, why continue to do something with this property? Crash Bandicoot’s revival this year was almost strong enough to make him a worthy Sony mascot again, but they seem to be hung up on making a thing out of Knack. Who does Mark Cerny have pictures of? I demand answers. And I demand better games. I think I’d be a little less salty if this game released at an even lower price point. 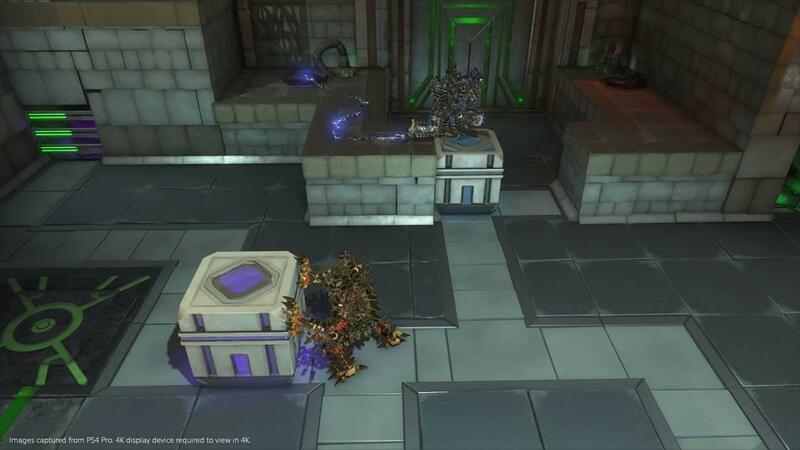 It takes quite a good amount of time to get through Knack 2, but after a few hours, I felt like I had seen all the game had to offer. 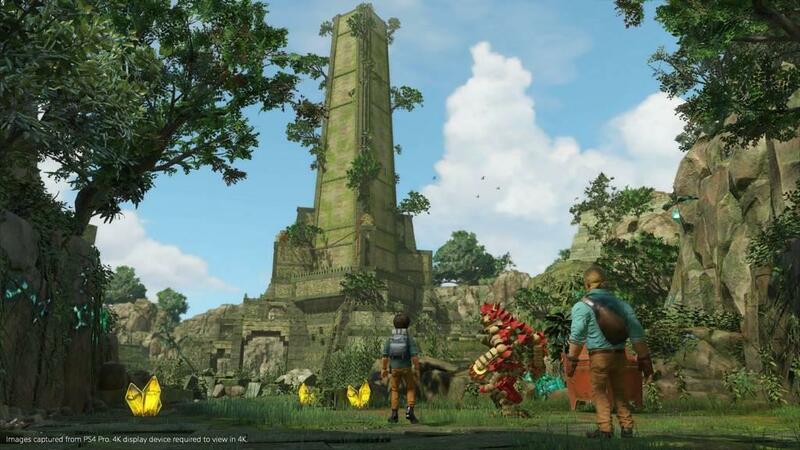 Knack 2 feels like a case where less would have been more, less filler, lower price, and maybe less boring dialogue could have made for a tighter package and an overall more enjoyable experience. As it stands, Knack remains a decent game for kids, but the core gamers out there can easily take a pass on Knack 2, no matter how hyped that fake Kaz Hirai twitter account is about this release. 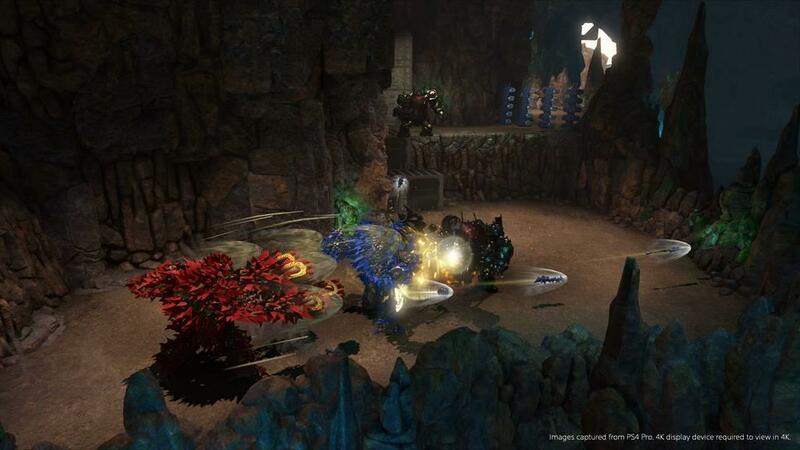 Knack 2 is a bloated experience that no one asked for. Sony Computer Entertainment Japan can be credited with improving over the first game, but that's not saying much.